Every pipe support had specific coordinates and major challenge was to prepare Tekla model for each pipe/tray support with zero error. Required to maintain all welding and holes standards in steel fabrication drawings as per the client’s needs. Pace with deliverables owing to heavy influx of design revisions to stay on schedule. As the client initially shared pipe and tray supports of the offshore oil extraction platform with our structural steel detailing teams. The team dedicatedly worked on detailing of steel structures for regular submission for 3 months. 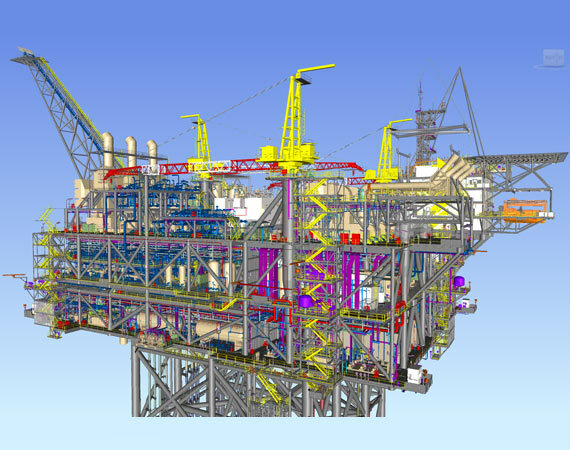 Post this task; client shared the main structure’s Tekla model. Our teams then worked on developing Tekla 3D models of pipe/tray and special supports and coordinate them with the main model. Layout drawings as per the given standards for steel support structures were developed and shared with the client. 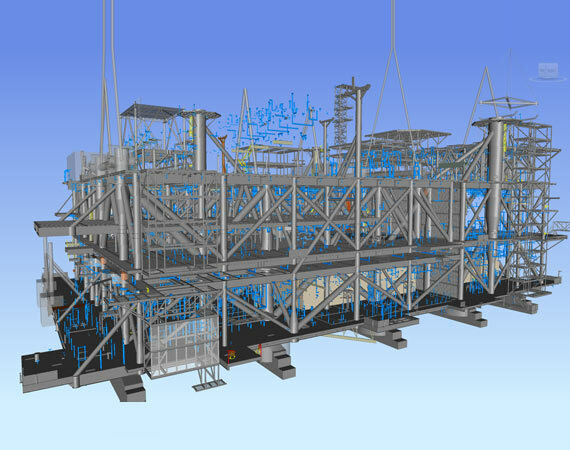 Another major work included development of Tekla model of Steel Stair tower and access platform. 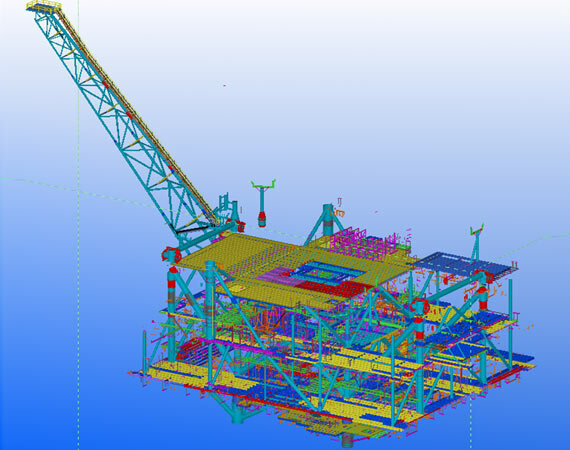 Tekla Engineers also prepared detailed models of chain guide and sub-sea distribution unit for the offshore oil rig. 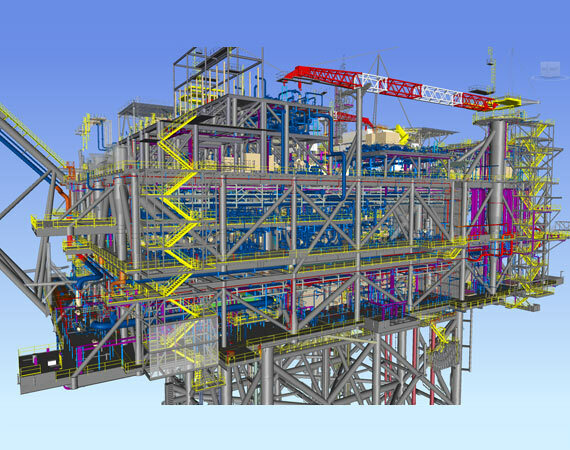 At the end of project tenure, our teams shared a final coordinated Tekla model with elimination of clashes whatsoever along with GA and steel fabrication drawings of various parts of the rig. Because of this partnership, the client could carry smooth fabrication of steel, installation and erection of steel supports at the site.